If you’re looking for a high-powered juicer that can grind up crunchy carrots and soft strawberries with equal ease, consider the Bella High Power Juicer. The powerful 1000-watt motor of the Bella is specifically designed to squeeze all the nutrition out of vegetables and fruits. The juicer features a large three-inch feed tube to enable you to insert larger chunks of food, including whole apples. You will be able to spend less time in the kitchen chopping vegetables and fruits with the Bella 13694 High Power Juice Extractor. The locking clamp prevents spills, while the stainless steel housing provides a clean appearance to the juicer. The Bella is easy to clean. Simply disassemble the juicer and place the dishwasher-safe parts in the dishwasher. A brush is included to facilitate cleaning of the strainer basket. The instruction booklet included with this juicer is easy to follow and provides tips on which settings are best for certain vegetables and fruits. The juicer is covered by a two-year warranty. Fun and tasty recipes are included in the instruction booklet. I am so very happy with this juicer!! From the suction cups that hold it in place during use, to the ease of cleaning and reassembly, it is everything I could have hoped for. The packaging was very sturdy leaving no chance of damage during the shipping process. The instruction booklet was extremely helpful in explaining which settings to use for which types of fruits and vegetables I had purchased. It is full of easy to understand directions and helpful hints! 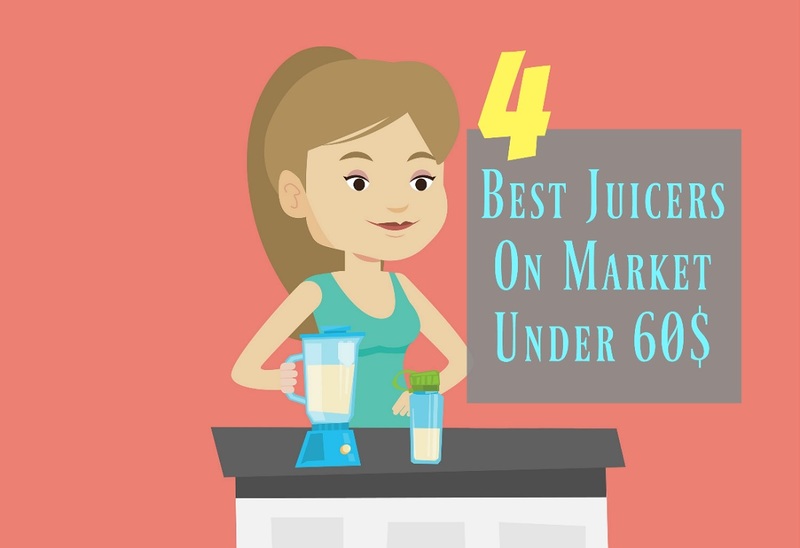 Being a first time juicer at the age of 60, that was an important feature for me, as I didn't have a clue as to what I was doing. While many people have had good experiences with the Bella High Power Juicer, others have experienced difficulties. The blade will become dull over time and may crack the plastic cover of the juicer if hard foods are used. Replacement parts are available by calling the manufacturer. The Waring Pro JEX328 Health Juice Extractor is designed to operate quietly yet efficiently. The compact design makes it ideal for those who have small kitchens. It juices both hard and soft fruits and vegetables with equal ease. The stainless steel components of the juicer are stain-resistant and will not rust. All parts are dishwasher-safe. The brushed stainless steel housing can be wiped clean with a damp cloth. The pulp left over from the juicing process can be saved for other recipes. As an example, carrots and pineapple pulp can be added to cake batter for a delicious carrot-pineapple cake. If you’d like the pulp to be a little drier, you can run it through the machine a second time. When using carrots, pay attention to avoid clogging the strainer basket. This juice extractor is easy to clean and comes with a cleaning brush. For those who are just starting out in the world of juicing, this juicer is an excellent way to get your feet wet. With this juicer cleanup won't be an issue. The Big Mouth 67601A Juice Extractor by Hamilton Beach is the perfect tool for those looking to add some spice to their juice drinking recipes. A powerful 1.1-horsepower motor provides all the power needed to crush even the toughest vegetables such as carrots and beets. The juicing performance of the Big Mouth is superior and extracts the nutritious juice from the pulp very efficiently. All removable plastic parts of this juicer are dishwasher safe for a quick and easy clean-up. Regular consumption of fresh fruits and vegetables are known to help reduce the risk of certain diseases including heart attack, stroke, cancer and type 2 diabetes. Consuming the juice of vegetables and fruits is the ideal way to give your body the nutrition found in these foods in an easy-to-digest form. One six- to 10-ounce serving of juice can provide you with the recommended daily amount of vitamins A and D along with calcium, potassium and fiber. To extract the maximum amount of nutrition from the fruits and vegetables, be sure to guide the food down the chute slowly. This powerful and easy cleanup juicer offers the best bang for your buck!